Couples often choose the date of their wedding based upon convenience. Couples choose summer weddings, for example, because of the weather and easiness for guests being able to attend. However, you shouldn’t pick honeymoon destinations for their convenience. You should choose your once-in-a-lifetime getaway from your top choices as a couple! Most movies and TV shows romanticise tropical honeymoon destinations. But there are actually many cool weather spots! These can make an equally romantic getaway for those who prefer the cold. Perhaps you just enjoy places that are unusual. 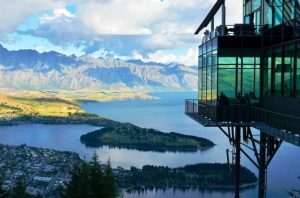 This week, we check out some unique cool weather honeymoon destinations that are worth considering at any time of year. The New Zealand skiing season runs from June through October. This makes it a perfect honeymoon destination for couples looking to escape oppressive summer heat. The country offers a wide choice of ski resorts. In addition to that, it has glaciers, crystal-clear lakes, and volcanoes admired by visitors from across the globe. It might look small on the map, but it’s filled with points of interest. These include natural wonders, wildlife viewings, hiking trails, and waterways that can be explored by boat. 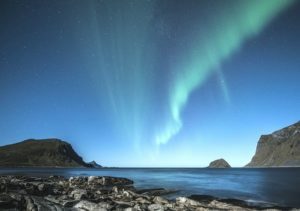 Although Norway doesn’t usually come to mind when considering exciting honeymoon destinations, it actually offers some options that are both unique and exciting. If the idea of swimming in the Arctic appeals to you, consider honeymooning in Finnmark. It’s here that you’ll find the Alta Igloo–a hotel created largely from ice. Snuggle down in your reindeer fur sleeping bags, and enjoy saunas and hot tubs to warm up. During the day you can enjoy a snowmobile safari or a dogsled excursion, among other things. 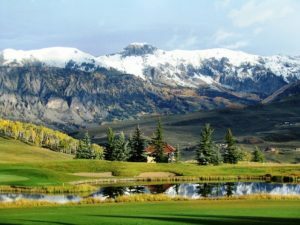 The Rocky Mountains are known for their world-class ski trails, but the area actually offers much more than just skiing. Though the snow does melt from April through September, the mountains remain snow-capped all year round. The climate in the region is notably cooler than the surrounding lower regions. Ski chalets transform into romantic summer getaways. In many cases, the gondolas run year-round so that visitors can enjoy the heights. Artist colonies and outdoor markets set against the scenic mountain view make for a charming experience, as do ranches and dozens of hiking trails. Couples who enjoy biking, fishing or horseback riding will also appreciate the cool Rocky Mountain climate. Of course, if you prefer cold weather to cool weather, visiting the area in the winter will create an entirely different type of romantic and action-packed getaway. If you’re interested in a winter honeymoon, Austria can provide just the right dose of charm mixed with romanticism. The city of Salzburg is bursting with Christmas cheer in the months preceding the holidays. Honeymooners can enjoy shining cobblestone streets, horse-drawn sleigh rides and cider at quaint cafes. 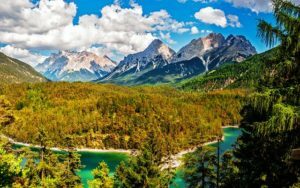 After the New Year, consider Innsbruck, a city surrounded by mountains and water, with breathtaking views and an array of attractions. Visit the Alpine Zoo to see over 2,000 species of animals, hit the ski slopes, or take a river cruise for some additional pampering. In a world filled with beautiful places, there’s no question that you’ll be able to find a cool weather honeymoon destinations to meet your preferences and budget. Don’t be afraid to think outside the box and to explore options that aren’t among the most famous. Your honeymoon should be, after all, a once in a lifetime experience.